The Oasis Hotel is located centrally in Albena, close to a number of shops and restaurants and is just 100 metres from the beach. A great choice for those on a budget. 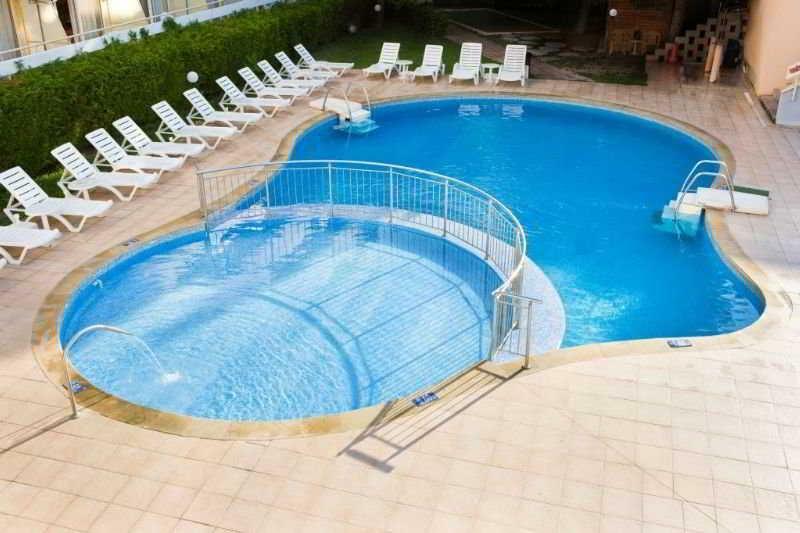 The hotel features an outdoor swimming pool and childrens pool with surrounding sun-terrace furnished with loungers and umbrellas. 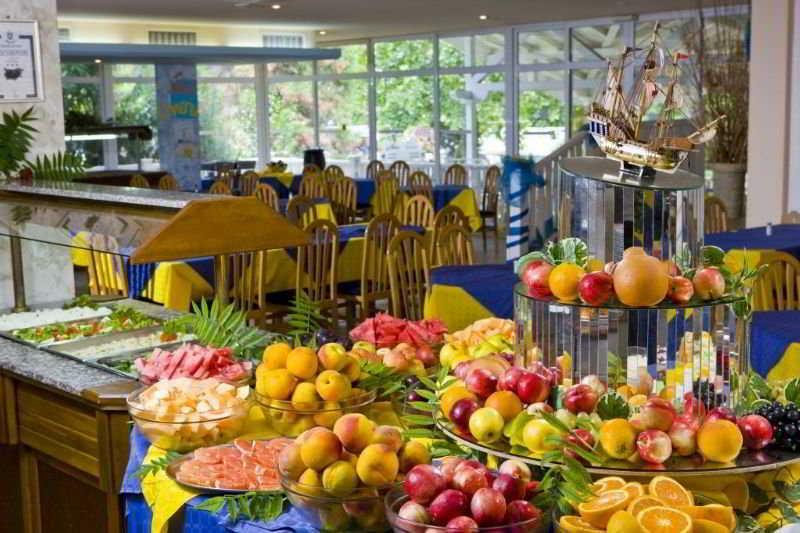 There is also a buffet restaurant, lobby bar and a childrens playground. 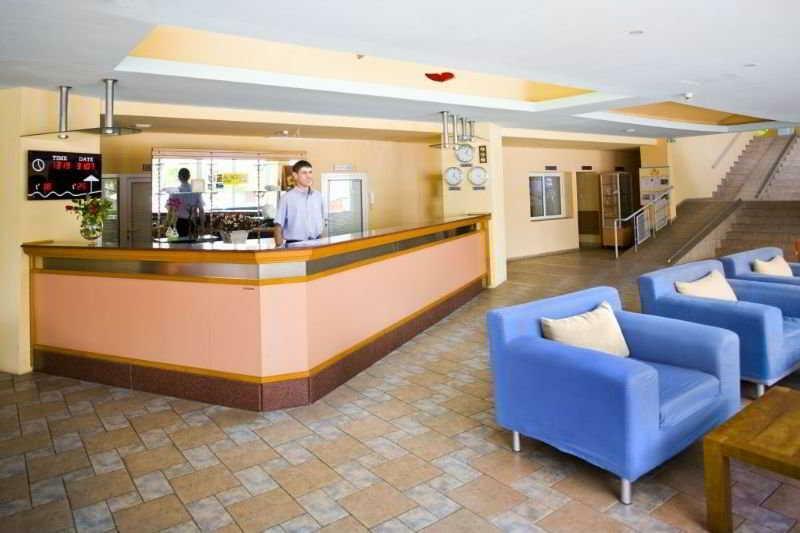 Guest services include reception with currency exchange facility and safe deposit box rental, internet corner and Wifi access. Accommodation is spread over several buildings of 2, 3 or 5 floors with lift access, and consists of 137 double/twin rooms and 25 singles. 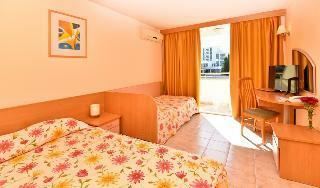 All rooms benefit from an ensuite bathroom, a telephone, cable/satellite TV and a balcony. A fridge is available for a local hire charge. A selection of hot and cold snacks, such as sandwiches, salads, ice-cream and fruits are served between 11am and 4.30pm. Unlimited local alcoholic and soft drinks, mineral water, tea and coffee are available between 10am and 11pm, subject to outlet opening times. The hotel has a central location in the resort, just 100-metres from the beach and close to a good selection of shops, bars and restaurants. Many eastern European tourists in this hotel. 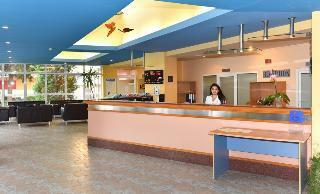 Only reception manager speaks English. Food ok, not excellent, but ok. Location perfect.